SAFE: its-Based on the ingredients which you could read at the back side through its clear bottle, there's no harmful chemical added. 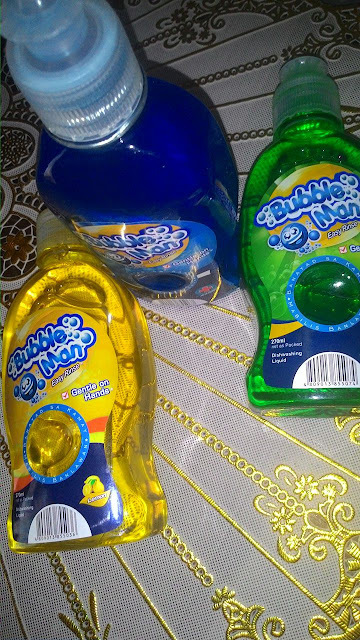 AFFORDABLE:- At the price of 32.50Php per 270 ml bottle and 65Php per 880 ml bottle. You can also avail to bottles of 270 ml for only 55 pesos while the two bottles of 880 ml at 120 pesos only. Isn't great? LEAVES NO SMELL ON DISHES AND THE DISHWASHING SCENTS ARE MILD NOT OVERPOWERING. I first thought that I need to put a hole in it so that the liquid will come out on its spout. Honestly? I did punch a small hole in one of the bottles which is...WRONG!! I asked my fellow bloggers how did they manage to open the bottle. One of them told me that I need to put extra effort pulling up the spout (which is I tried). Yes! I made it! I regret that I never asked first. LOL! I would rate it 4/5. Maybe next time the manufacturer could make it easier for us to open the spout? With its overall performance, I would likely recommend it to my friends and my readers. For budget-wise moms like me, Bubble Man Dishwashing Liquid is a better partner when it comes to washing our dishes. A proud Pinoy made that's tough on dirt. 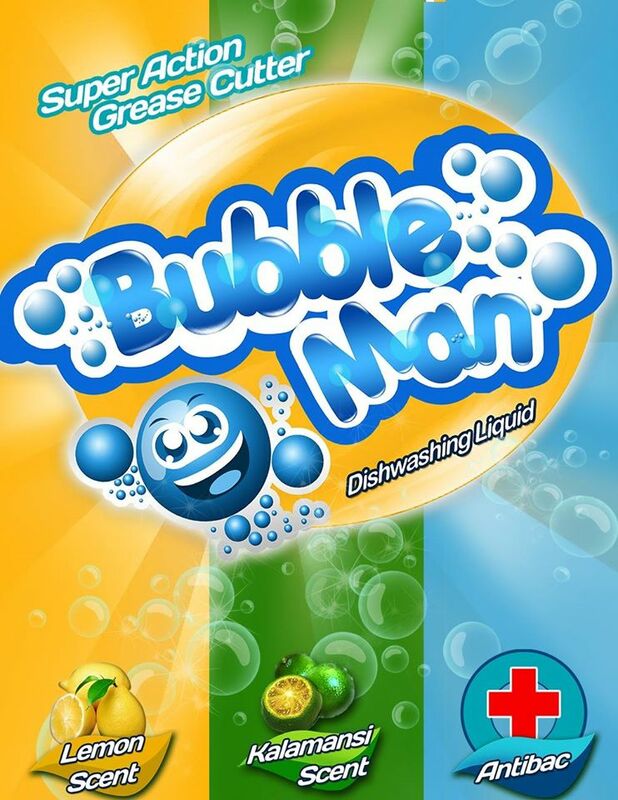 Available in all leading supermarkets and groceries nationwide! *Expiration is also indicated at the back of the bottle. 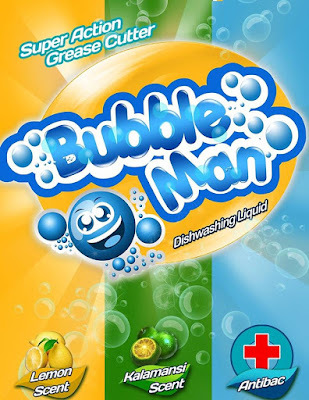 For more updates and promos, you can check out their Bubble Man Facebook Page. * Thanks to Ms.Jhen Dizon of Mikewell Corporation for sending me these products.